We do not have to tell you that retail environments are different from store to store and that a business music service helps create a vibe for your customers! Retail research has shown going back over 50 years that the time each customer spends in store directly correlates to how much they spend on your products. Creating the perfect environment for your customer experience includes the music they hear. The StoreStreams Business Music Streaming Service for Retailers offers a complete solution for retailers of all sizes that are in need of a background music system for their retail store environment. StoreStreams plays the hit music of today and yesterday. They are the artists you know and love. The StoreStreams Business Music Streaming Service for Retailers offers pre-programmed as well as custom radio channels for retailers that are fully licensed and 100% legal. You can create the exact vibe and feel for your retail location! StoreStreams is completely scalable for any size store no matter if you have one or one thousand retail locations. Business Music Streaming Service for Retailers plans start at $20.00 a month. However, StoreStreams offers complete solutions that include speakers, amps, and customized mixes to provide everything you need to set the perfect vibe. 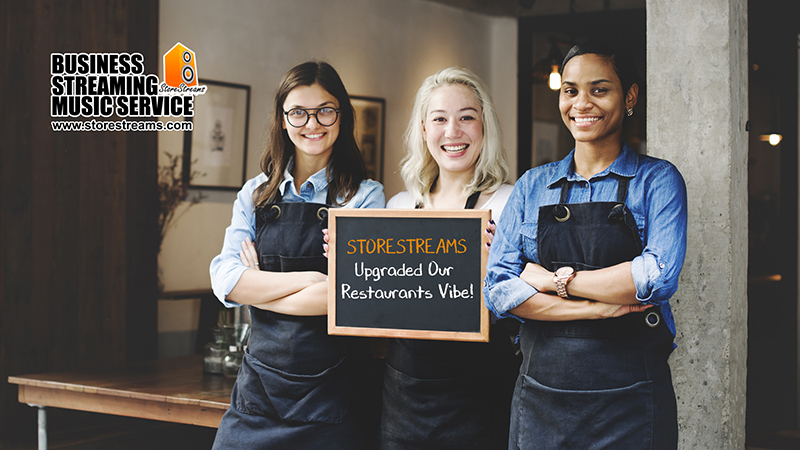 If you are looking to better engage your customers and provide a premium shopping experience, Business Music Streaming Services by StoreStreams is the way to go!